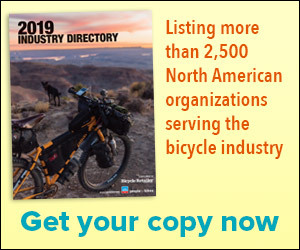 SCHAUMBURG, Ill. (BRAIN) — The Chicagoland Area Bicycle Dealers Association will continue to expand its reach far from the shores of Lake Michigan in the next 12 months. CABDA's Midwest show closed Thursday and organizers announced two new venues for its next season. FOUNTAIN VALLEY, Calif. (BRAIN) — Pedego, the e-bike brand with over 100 licensed U.S. stores in operation, is testing a program to sell its bikes to independent retailers through a "store-within-a-store" program. WASHINGTON (BRAIN) — The partial federal government shutdown means that at least two active industry recalls have not yet been announced by the U.S. Consumer Product Safety Commission, although the companies responsible have issued recalls on their own and with government agencies in other countries. DEL MAR, Calif. (BRAIN) — Emerald Expositions, which announced last month that it was canceling its 2019 Interbike Expo, is talking to industry members about two options for a revived bike trade show as soon as this year.